What’s It About? The Wind Rises (PG) is the Oscar-nominated latest animation from Studio Ghibli, focusing on the life of Jiro Horikoshi, a boy who dreams of designing aeroplanes. We see his life from boy to man, growing up through historical events such as earthquakes and the Great Depression, as well as falling in love. 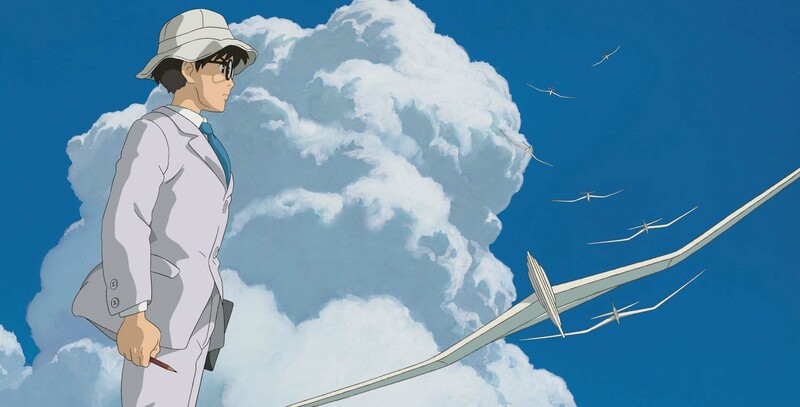 Based on the lives of engineer Jiro Horikoshi and author Tatsuo Hori (to whom the film is jointly dedicated), legendary director Hayao Miyazaki brings Japan to life beautifully to document his own love of aeroplanes, in this his last film. Verdict: Ghibli films often have some darker elements, but can usually be enjoyed by the whole family, young and old. In fact, films such as My Neighbour Totoro, Arrietty and Ponyo (Miyazaki’s previous film) especially are like children’s fairy stories. The Wind Rises is probably not one for children to enjoy. 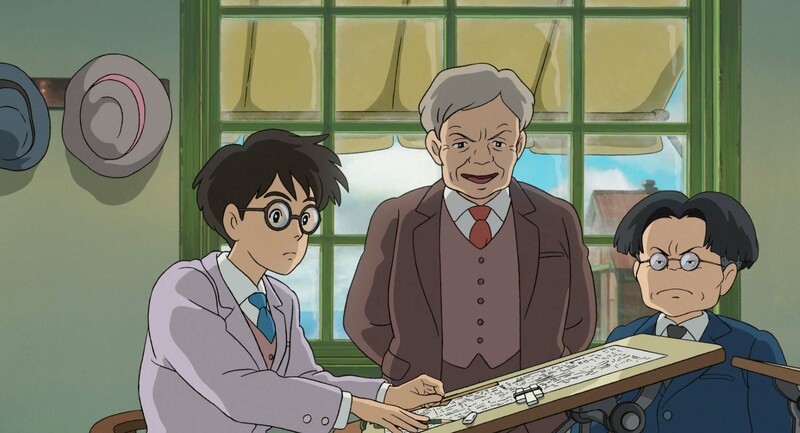 Indeed, Miyazaki initially turned down the idea of making this film, based on his own comic book, saying, “Animation should be created for children. We shouldn’t make a film only for older audiences.” Fortunately for the audience, he later backed down. The plot itself, as well as the pacing of the film, are probably not going to thrill many children, and there are some parts of the film that are either a bit graphic or would go over the heads of younger viewers, specifically the tuberculosis outbreak that hit Japan (with a scene that the BBFC warning calls ‘bloody’) and the Great Depression. It’s to the film’s credit, though, that it does show these. 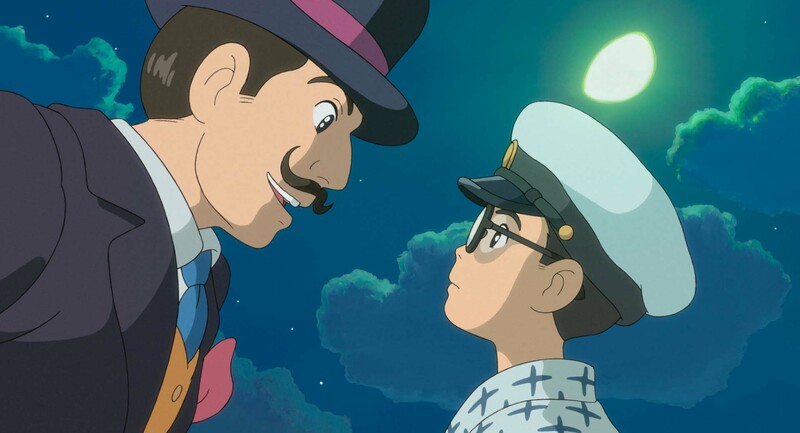 The Wind Rises is a lot less fantastical than most previous Ghibli outings. It’s set very much in the real world, showing real historical events. Many Ghibli films have a dream-like quality, and it’s through dream sequences in this film that Miyazaki gets an outlet for his fantastical side. In these, Jiro gets to meet legendary engineer Giovanni Caproni, walk on planes that are airborne, and see anthropomorphic bombs. As we’d expect from previous Ghibli entries, The Wind Rises is absolutely beautiful. At times you will simply marvel at the bright and vibrant scenery and the immense detail on show. The bar has already been set very high, but this film truly shows why Miyazaki is considered the master of hand-drawn animation. The sound effects, too, are wondrous. These were mostly created by human voices, so you can hear steam trains actually ‘choo-choo’. There is a central and intentional issue with the film in that Jiro is dreaming of designing aeroplanes, but these are planes that will be built to for war, to bomb and kill people. This is always at the back of your mind whilst watching the film. There has been criticism that, though this point is mentioned in the dialogue on a couple of occasions – one character asks, “would you like to live in a world with pyramids or without?” – it is almost brushed aside. Where you fall on this may actually determine how you feel about the film as a whole. If you want more depth on this side of the story, you may come away feeling a bit frustrated, but if you can accept, as Jiro does, the separation of a plane’s designer from what it will be used for, then this won’t be a problem. Jiro instead focuses a lot more on his own relationship with the adorable Nahoko. They have a very fairytale romance, meeting on a train when they are young, and reconnecting when older. Scenes of them meeting, and flying paper aeroplanes are lovely to watch. As with Jiro’s planes, which start beautiful but become bogged down with bombs and sent into war, they also have a flawed and ultimately futile aspect, with Nahoko contracting tuberculosis. Whilst Jiro isn’t Ghibli’s most interesting protagonist, you can’t help but fall for Nahoko a little bit. While viewers will have to form their own opinion on the film’s central concept, The Wind Rises is a very interesting, largely serious – at times bleak – look at the lives of the two men it was based on. You can tell this a very personal story for Miyazaki, but it isn’t quite as accessible as previous Studio Ghibli entries, and isn’t Miyazaki’s best. Still, the beautiful animation alone makes this well worth seeing. Final Words: Throughout the film, Jiro dreams of making something beautiful. Miyazaki has definitely achieved this, yet again. The Wind Rises (PG) is release in cinemas on May 9 2014 in both subtitled and English-dubbed versions. Contact your local cinema for details. The English-dubbed version features the voices of Joseph Gordon-Levitt, Emily Blunt and Werner Herzog.